Let's start out first by asking if you have a homeschool budget. If your financial resources are unlimited, then you probably don't need one, but most of us don't have this luxury. Decide/pray about what you think you should spend for each child for when planning the year. It is amazing how little and how much money some people can spend on homeschooling. You WILL be able to teach your children with the resources that are available to you! Your budget doesn't have to be $2000 per year in order for you to provide your children with the educational resources they need. In this age of financial crisis, we have felt the crunch at our house. Here are some things that we have done to help save money. Hopefully they will help you. 1. Shop Thrift Stores, Goodwill, and Garage Sales - Some people don't even like entering these places, but that's what hand sanitizer is for! It is amazing what educational resources you can find at these stores. You're not going to find a packaged curriculum, but you CAN find some great resources, craft items, supplemental books and literature. 2. Shop used curriculum fairs or online sites like Homeschool Classifieds. Once someone is done with their curriculum, they are usually more than willing to sell it to the next person in line. You can easily negotiate with people if you think they are asking too much or if you can't afford their price. Buying material that others are done with is a definite boost to any budget. Many times we have used a book or resource for a year or two and then turned around and sold it for almost as much as we paid for it used. 3. USE THE LIBRARY -This can't be stressed this enough! Libraries carry an amazing number of books that can be used as resources and curriculum. You can either use the item for 3 weeks and return it or decide that you do like this book and purchase it. Our library has it's book request system all online, so I can easily go in and request a book and manage when it is due with email reminders. It is great! You can teach your children AND live on a limited spending plan. Your creativity might need to be stretched, but your kids might have the best year ever! 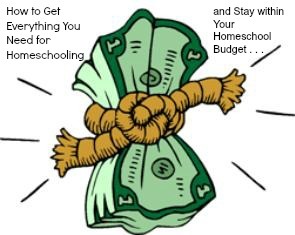 If God has called you to homeschool, you can be sure that He didn't intend for you to go into debt to pay for it. He knows your finances and if you pray about what your homeschool budget should be set at, He will provide the resources that you need for that amount. He might provide your resources through a used book fair, another family that is done with their materials, or a side job that you can do that will provide all the money you need. Ask Him and see how He provides. 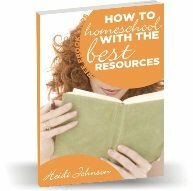 You can use my free homeschool planner to help you list all the resources you want to use and then narrow down exactly what you need. This is a great tool to help you stay within your homeschool budget. If you have been avoiding making up or living on a spending plan, let me encourage you to just do it! Is all this budgeting talk new to you? Have you always wanted to keep track of your finances but didn't know how? Here's an article written by the creator of BudgetMap. I recommend this program for implementing not only a homeschool budget but also a spending plan for your family. When you try your hardest and fail, it doesn’t seem fair. When you fail at something important, it is also painful — especially in budgeting. 1. Motivation — If you are reading this article, you already have some motivation. How much do you need? You need enough for “takeoff.” The best way to get it is to continue education. Read articles, books, or take a budgeting course — your motivation will grow with your education. Education will build your confidence and help you form practical achievable goals. Goals have to be something you really want. You need goals for motivation. 2. Education — There are hundreds of books and courses to choose from. If you are short on funds, get the basics for free from the internet or a book on budgeting from a public library. The most important thing is to get started — an imperfect budget is better than no budget. You can change and perfect your budget as you get more education. Also, don’t wait for some special time of the year (like January 1st) to start. Get started now! 3. Implementation — All the knowledge in the world is useless if you don’t put it into practice. Many motivated people take the best budgeting courses but still fail because they lack this last necessary component. Writing out a spending plan is not implementation. Implementation is living according to your spending plan. 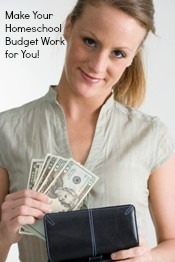 To do this, you need a budgeting system that will help you track your spending as you make each financial transaction. Budgeting without a budgeting system is like flying an airplane without instruments — most people will crash. Whether you use a spreadsheet, special register, or software, choose the system that is easiest for you and you will be more likely to have success. Also make sure you get a system that fits your life style. If you use a combination of cash, checks and credit cards, make sure to get a system that can handle all three types of transactions. Ask yourself if you lack any of these three essential elements for successful budgeting. If you do, make a decision to get what you need. As you get one, it will help you get the other two — motivation will help you get education, implementation will help you get motivation, etc. As you increase all three, you will move forward to financial freedom. by William Schara C.P.A. — Author and creator of “BudgetMap — The Simple Way to Budget”. Want to get control of your finances? Find out more about budgeting systems at the BudgetMap web site. If you prefer a more automated system rather than a manual system of keeping track of your money, then check out Mvelopes online. To calculate your monthly budget, print this worksheet and write down how much you currently spend each month per budget category below. Finally, add up all of your budgeted expenses and compare this total to your net monthly income. There is an automated way to do this! Mvelopes Personal will walk you through this simple process online and help you create a working budget in just a few minutes. Mvelopes will allow you to create as many budget categories (envelopes) as you need and will help you track every aspect of your finances automatically! No more paperwork or manual data entry. Get a FREE 30 day trial of Mvelopes Personal today by clicking here or visiting www.mvelopes.com. Whether you need a complete budget overhaul or just some help getting your homeschool budget started, the envelope system has always worked best for us. We allocate a certain amount of money into each category and then the computer takes care of all the computations and tells us what we have left. It's easy to see where we are overspending or underspending. There is lots of freedom in knowing how much money we have in each category.